The wide-eyed wait is over, anticipation satisfied and rumours confirmed or quashed. (Actually, they’re invariably confirmed, simply because any orchestra, conductor or classical artist that publicises a scheduled appearance at a “major British/London summer festival” has invariably been booked for the Proms but simply isn’t allowed to say so, which, in this day and age, is a bit silly really). But it all kicks off on 18th July, and there are proms for families, proms for poets, proms for singers and proms for children; there are midnight proms, chamber proms, proms in the park and proms for stage and screen. If none of this creeps into your ears, you have no soul. Personally, I’m grateful there’s only one infliction of Bartók (23rd July), and that’s made tolerable by being sandwiched between Shostakovich’s defiant Symphony No.10 and Tavener’s theosophic Gnosis. And I’ve counted the Beethoven (10) and compared it to Strauss (Richard – 17) and found it wanting. Though this year we do get the glorious Missa Solemnis (26th August), which more than compensates for a couple of missing symphonies, a concerto, and a movement or two of his late quartets. Sir John Eliot Gardiner conducts the Monteverdi Choir and English Baroque Soloists in the Last Master’s tumultuous journey through belief, doubt, death and resurrection. Unmissable. I managed to get to my first First Night last year, and that was a classy baptism into the whole festival season. So I’d heartily recommend this year’s inauguration in which Sir Andrew Davis conducts Elgar’s biblical oratorio The Kingdom. Should be epic. And so should Rameau’s Grand Motets (29th July), whose sanctified echo will doubtless fill the dome of the Royal Albert Hall as divinely as it did Louis XIV’s Chapel Royal. I felt cheated of Verdi’s Requiem last year, and we get absolutely none at all this year (nor a note of Haydn) – both seemingly shunted out by an endless stream of Strauss to commemorate his 150th. And there’s lots to choose from, but I recommend Salome (30th Aug) and Elektra (31st Aug) – the severed-head psychological followed by the ferocious expressionist. But I’m utterly bemused that this anniversary should feature so abundantly while the tercentenary of the birth of the immensely influential CPE Bach isn’t acknowledged at all (a few measly sonatas and a symphony don’t constitute a commemoration). Good grief, CPE was the Bach after JS. Even Mozart prostrated himself before him: “He is the father, we are the children.” They’re honouring him greatly in all six German Bach cities, so why we get a few knickknacks in a blowout of Strauss and Mahler is a something of a mystery, not to say a complete oversight. But Roger Wright (who, to be fair, isn’t doing a bad job) has programmed Mozart’s vision of death and judgment in his fearful Requiem (3rd August), along with both of Bach’s passions: the dramatic action of St John (26th July) and the contemplative glory of St Matthew (6th Sept) – the former performed by the Zürcher Sing-Akademie and Zurich Chamber Orchestra, under the baton of Sir Roger Norrington; and the latter by the Berlin Radio Choir and Berliner Philharmoniker, under the baton of Sir Simon Rattle. These will be, quite literally, the ritual salvation of this Proms season. You will bow your heads in reverence; listen, meditate, weep and repent. The centennial commemoration of the outbreak of the First World War is musically woven throughout the 2014 season like a patriotic Last-Night motif. The day Britain entered the war (4th Aug) is marked with a special Late Night Prom featuring the première of Ikon of Light by the late, great John Tavener. That evening also includes fragments from his poignant if not prophetic Requiem, which he died while composing. Some of our finest composers lost their lives in the mud and mustard gas of the trenches, and this is a good year to remember them. So, lest we forget, try to catch Six Songs from ‘A Shropshire Lad’ by George Butterworth; Music for Orchestra by Rudi Stephan; and Elegy for strings, in memoriam Rupert Brooke by Frederick Kelly (17th Aug), and wonder whether they might ever have eclipsed Elgar, Walton or Britten. Speaking of whom, his War Requiem, based on the poetry of Wilfred Owen (21st Aug), is one of the most profound pacifist pieces you’re ever likely to hear. 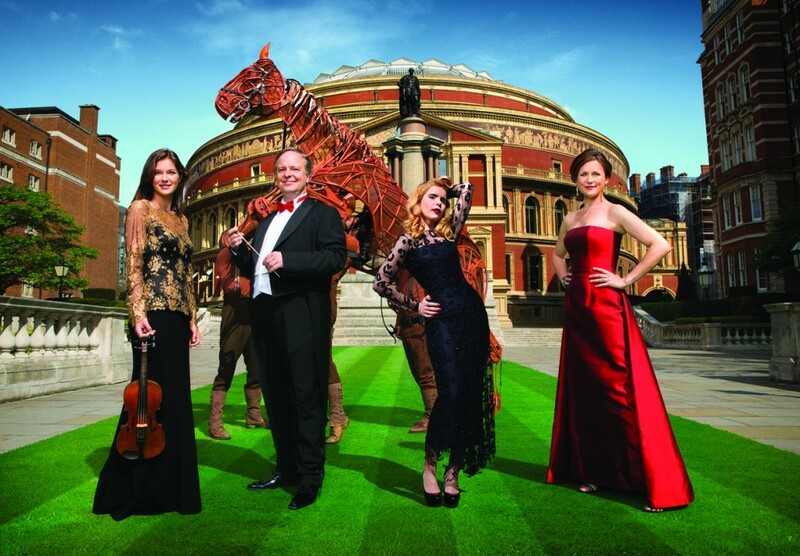 Continuing the theme, there’s a collaboration with the Royal National Theatre to bring you the War Horse Prom (3rd Aug). I saw the film a few years ago, but caught it onstage only last week, and the puppetry is breath-taking. I have no idea how the equine spectacle will visually translate into the cavernous Hall, but that night is worth your attention if only for the modern première of the newly-discovered New War Hymn composed by Sir Henry Wood himself. I’m delighted that Marin Alsop returns to conduct the BBC Symphony Orchestra in Mahler’s Symphony No.1 and John Adams’ Saxophone Concerto, composed for virtuoso soloist Timothy McAllister (4th Sept). Alsop was the first woman to conduct the Last Night last year, and she’s inspired me enough about gender diversity to spend this year checking out some of the unknown (to me) women composers – Roxanna Panufnik’s Three Paths to Peace (20th July), Sally Beamish’s Violin Concerto (1st August), Helen Grime’s Near Midnight (9th August), Dobrinka Tabakova’s Spinning a Yarn (16th Aug), Judith Weir’s Day Break Shadows Flee (1st Sept) and Unsuk Chin’s Šu (27th Aug). That’s what I love about the Proms: amongst the reliably familiar and predictable you can always challenge yourself to harmonies unchartered. John Wilson returns for the sixth consecutive year (2nd Aug – scrum for seats) to present another evening of glitz and showbiz glamour with Kiss Me, Kate. I know I said it here last year, and in the Speccie the year before, but if you’ve never heard the John Wilson Orchestra, you’re missing the most fabulous re-creation and stunning revival of the world’s greatest musical archive. And, of course, there’s Beethoven’s incomparable Ninth (12th Sept). Whoever does it, I never miss it. Never have. I can’t help it. I was fortunate to be present in the Hall in 2012 to experience Barenboim’s rendition, in which the world’s greatest living musician seemed to channel the spirit of the Master himself. And last year the National Youth Orchestra gave a vibrant invocation to freedom. This year Riccardo Chailly conducts the renowned Leipzig Gewandhaus Orchestra along with the massed Leipzig Opera Chorus, Leipzig Gewandhaus Choir, Leipzig Gewandhaus Children’s Choir and the London Symphony Chorus. I can hear the greatness and wonderment reverberating already. Sakari Oramo conducts the Last Night (13th Sept), and will be joined by star soloists violinist Janine Jansen and baritone Roderick Williams, though I think the frolics this year will be a little subdued by the sacred heart of the evening – Tavener’s Song for Athene: the alleluias which mourned the death of Diana will monophonically bid farewell to their spiritual creator. That’s my pick. If you can’t go a-Promming at the Royal Albert Hall for a fiver (price fixed for the ninth year running), there’s always Radio 3 (not to mention broadcasts on Radios 1, 2, 4 and 5), BBC iPlayer and the a dedicated Proms button on the iPlayer Radio App. 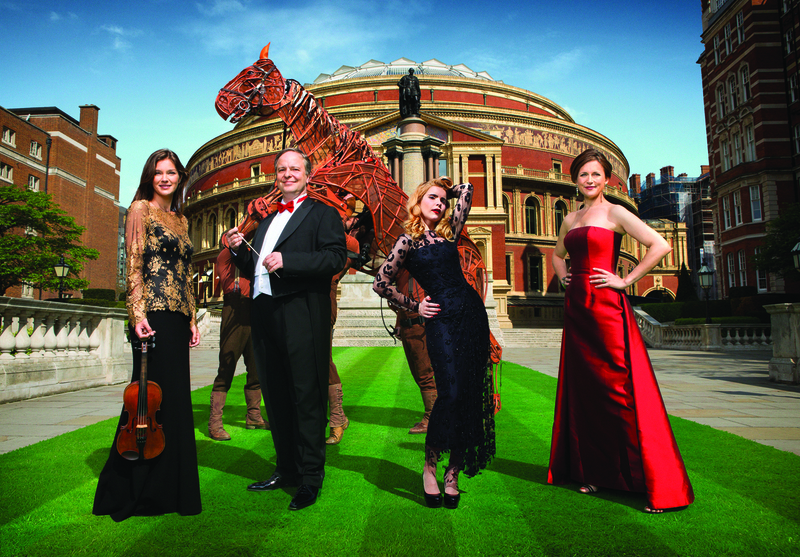 The whole Proms programme can be found here. This entry was posted in Arts & Culture and tagged Andrew Davis, Arts, Bach, Bartók, BBC Symphony Orchestra, Beethoven, Benjamin Britten, Berlin Philharmonic, Brian Sewell, CBeebies, CPE Bach, Culture, Daniel Barenboim, Dobrinka Tabakova, Education, Edward Elgar, Frederick Kelly, George Butterworth, Haydn, Helen Grime, Henry Wood, Janine Jansen, John Adams, John Eliot Gardiner, John Wilson Orchestra, Judith Weir, Kiss Me Kate, Last Night of the Proms, Louis XIV, Mahler, Marin Alsop, Missa Solemnis, Mozart, National Youth Orchestra, Paloma Faith, Pet Shop Boys, Proms, Rameau, Raxanna Panufnik, Riccardo Chailly, Roderick Williams, Roger Norrington, Roger Wright, Royal Albert Hall, Royal National Theatre, Rudi Stephan, Rupert Brook, Sakari Oramo, Sally Beamish, Shostakovich, Simon Rattle, Song for Athene, Strauss, Tavener, Timothy McAllister, Unsuk Chin, Verdi, War Horse, Wilfred Owen, World War I by admin. Bookmark the permalink.